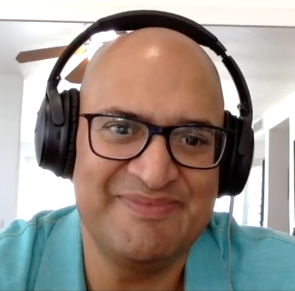 This episode of consensus network continues last week’s interview with Teeka Tiwari on the world of bitcoin, blockchain, and distributed ledger technology. If you have not listened or watched that show yet, make sure to do that. I was amazed at how much material we covered in this single interview and I think you will be too. We dove deep on topics such as bitcoin and smart contract protocols and got a good sense of what smart money is thinking of this new and exciting crypto asset class. Mr. Teeka Tiwari is a Editor at Palm Beach Research Group LLC. He is responsible for the firm's flagship service, The Palm Beach Letter and small-cap and cryptocurrency advisory, Palm Beach Confidential. Earlier, Mr. Tiwari served as a Co-Editor and was also an Editor for Jump Point Trader and Mega Trends Investing at the firm. Previously, he was a hedge fund manager and launched a hedge fund. Prior to this, Mr. Tiwari was a Vice President, youngest in history, at Shearson Lehman. At the age of 18, he was the youngest employee at Lehman Brothers. Mr. Tiwari has been a regular contributor to the FOX Business Network and has appeared on FOX News Channel, CNBC, ABC’s Nightline, The Daily Show with Jon Stewart, and international television networks. This week’s episode consensus network builds off last week’s introduction to the world of bitcoin, blockchain, and distributed ledger technology. If you have not listened or watched that show yet, make sure to do that. One of the best teachers on this topic is Teeka Tiwari, editor of the cryptocurrency newsletter called Palm Beach Confidential to which I subscribe.